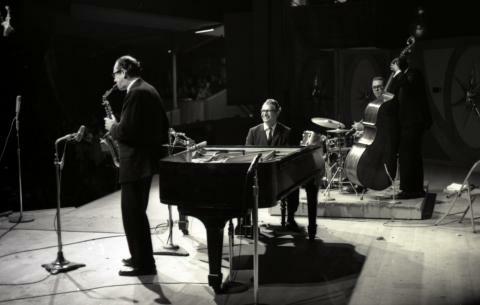 Exactly 50 years ago today, the Dave Brubeck Quartet played their last concert date as a regular unit. After being on the road more or less constantly since 1951, Brubeck was ready for a break. Luckily, a tape machine captured the concert, as well as some fun and excitement. Having just completed a European tour the previous month, playing a final date in Pittsburgh, Pennsylvania might seem somewhat anti-climatic. Brubeck’s group treats the date like any other, though, blowing right through the tunes. If there was any sentimentality or sadness, it wasn’t evident. The group’s wit and spontaneity was. Playing a day after Christmas, there’s a few well-placed references to Christmas tunes peppered throughout the concert, as well as quotes from numerous other songs. 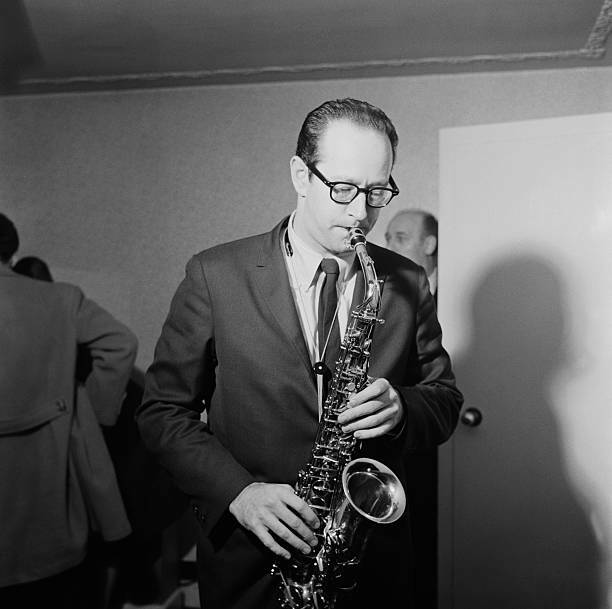 On Brubeck’s original tune “Three To Get Ready”, Desmond reels off a few in rapid succession. The audio is in mono, and some of the musicians sound a bit faint, but the music is definitely listenable. Hearing the group play “Three To Get Ready” for the final time is a jarring experience to those who are familiar with the quaint version on Brubeck’s 1959 album ‘Time Out’. Morello’s drums stay in four the whole way through while the rest of the group moves back and forth between a waltz and straight four time. Desmond gets off “Auld Lang Syne” during his two-bar exchanges at the beginning, something he did frequently on this song throughout the years. Moving into his solo, he quotes Billy Strayhorn’s “Rain Check” before rapidly moving into a bit from Benny Goodman’s “Don’t Be That Way”. A few bars later, he moves into Johnny Mandel’s old tune “Hershey Bar”, which logically brings him to the particularly annoying Christmas tune “Twelve Days Of Christmas”. All within the span of a few bars. Desmond particularly liked to stick “Rain Check” and “Hershey Bar” into numerous tunes throughout his time in Brubeck’s group, and this the first example of him using “Hershey Bar” in “Three To Get Ready” (he used “Rain Check” before). Yet another testament to Desmond’s mind. Here’s the tune, recorded with an amateur recording machine at the Brubeck Quartet’s final concert. As usual, try and find the quotes, and I’ll put the answers along with the other videos below. If you missed them, “Auld Lang Syne” shows up at 0:58, “Rain Check” at 1:32 which flows right into “Don’t Be That Way”. “Hershey Bar” is at 1:58, followed immediately by “Twelve Days of Christmas”. It’s a fun display of quick thinking and musical prowess. Happy December 26!